Canada celebrates San Francisco design, Volume included. 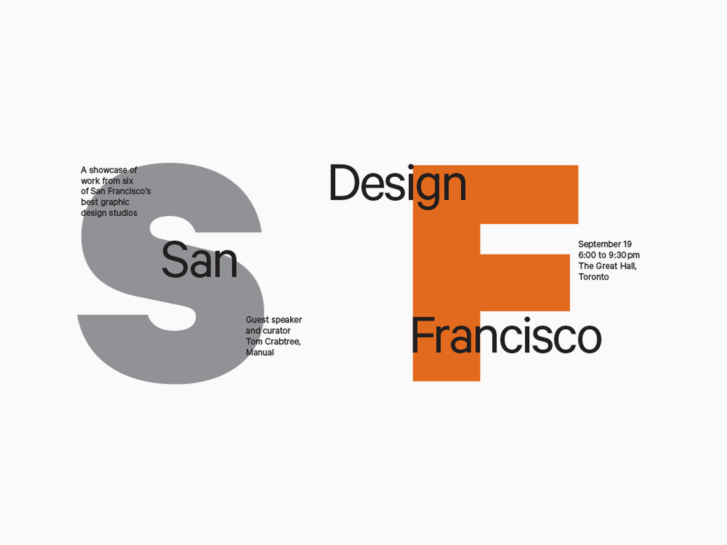 Last night, the Advertising and Design Club of Canada celebrated San Francisco design with an exhibition curated by Manual’s own Tom Crabtree. Volume was one of six studios showcased including Hybrid Design, Manual, Moniker, Mucho, and Stripe SF. We heard a fun time was had by all and the Canucks were suitably impressed by the Bay Area talent on display. Tom also delivered a lecture on San Francisco design as part of the event, and we’re sure he impressed all those Toronto folks with his wise words on design delivered in his charming British accent. Volume goes big in Sean Adams’ Supergraphics.